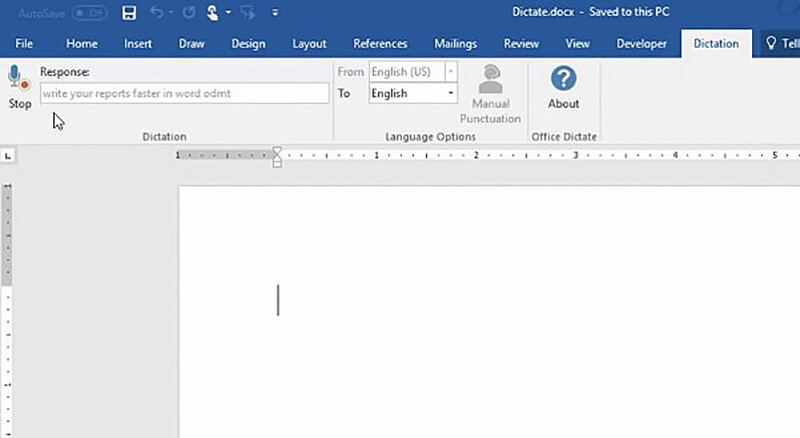 Voice-to-text typing on the Microsoft Office suite may have just gotten a massive improvement. How so? 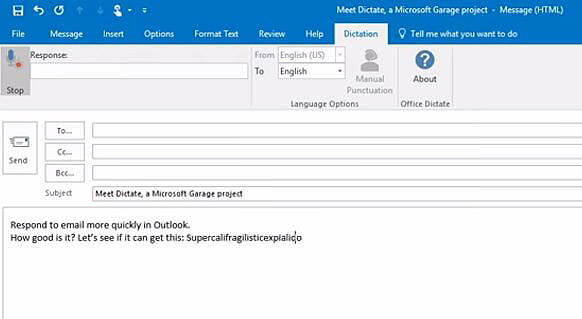 Well, Microsoft has released a new add-on called Dictate that lets you create documents in the Office suite with just your voice. 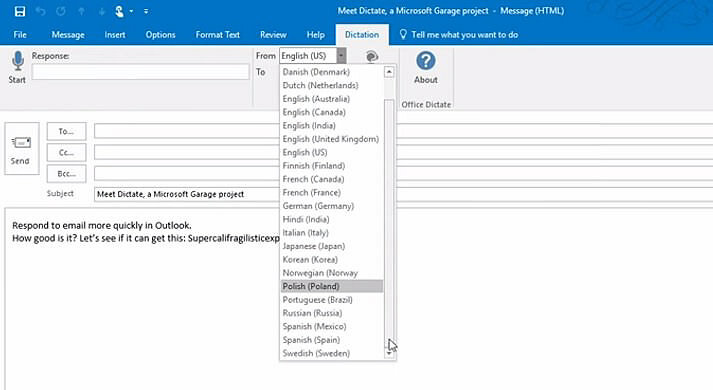 Released as an experimental project under the Microsoft Garage umbrella, Dictate is an advanced voice-to-text typing system that utilises Cortana’s speech-recognition technology to identify spoken words. The add-on works on Word, Outlook and PowerPoint, allowing users to prepare their documents, emails and presentations using mainly their voice. Transcription isn’t the only thing that Dictate can do as the add-on also supports some basic commands that let the user control the document they’re currently editing. "New Line" to move the cursor to a new line. "Delete" to remove the last line that was transcribed. "Stop Dictation" for Dictate to stop transcribing immediately. "Question mark" to insert "?" "Open Quote" and "Close quote" to insert """ and """
On the transcribing side of things, Dictate currently supports 20 different languages. Dictation aside, the add-on is also capable of supporting "real-time text translations" for up to 60 languages. If Dictate sounds like something you would like to experiment on, do note that the add-on will only work on the Office 2013 suite or later. Your machine must also be running Windows 8.1 or later in order for Dictate to work. Assuming you’ve managed to fulfill the requirements, feel free to download the add-on here. Finally, do keep in mind that Dictate is an experimental project, so it is possible that the add-on might get scrapped somewhere down the line.